Rising Star Games has announced that Cooking Mama: Sweet Shop will be released for 3DS in North America physically on May 16, 2017 and digitally on May 18, 2017. In Europe and beyond, the game launches physically on May 26, 2017 and digitally on May 25, 2017. Cooking Mama: Sweet Shop is the final 3DS installment in the Cooking Mama series that promises to deliver a buffet of sumptuous sweets, delectable desserts, and charming confections. With over 60 different recipes to create, spread throughout 160 different mini-games, players use the stylus to slice, stir, bake and decorate their creations – you can even use the microphone to blow and cool your delicacies! Create a wide assortment of delicious looking sweets and puddings, and serve customers in the shop to keep them happy. The more sweets you create and complete, the more your shop expands. You may even trigger a special event! 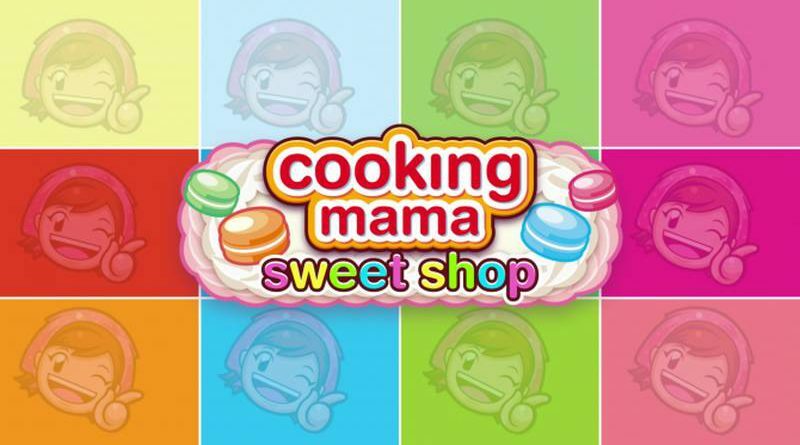 Cooking Mama: Sweet Shop also features a competitive multiplayer mode for two to four players – challenge your friends and see who can make the tastiest treats. And just like always, don’t worry if you make a mistake – Mama will fix it for you!